NEEDHAM, Mass., Aug. 3, 2017 -- Bigbelly, Inc., the world leading Smart City Solutions Provider specializing in smart waste and recycling systems, today announced that it filed a complaint with the U.S. Central District Court in California and the German Court alleging that Ecube Labs Co. Ltd. (South Korea), Ecube Labs Co. (U.S.), and EconX Waste Solutions B.V. (Netherlands) infringe on two Bigbelly patents covering energy management technologies for solar powered compactors. These patented Bigbelly technologies enable the Bigbelly smart waste and recycling system to acutely manage an energy budget based upon the solar energy harvested and the energy needs of the station. It is imperative that solar powered compactors function in locations with limited or no direct sunlight, since most waste bins are in proximity of buildings, trees and other infrastructure. When deploying a solar powered, compacting waste solution, Bigbelly's patented energy management is critical to its success. Bigbelly is requesting that the U.S. and German courts issue rulings confirming that certain Ecube and EconX products infringe Bigbelly's U.S. and European patents. 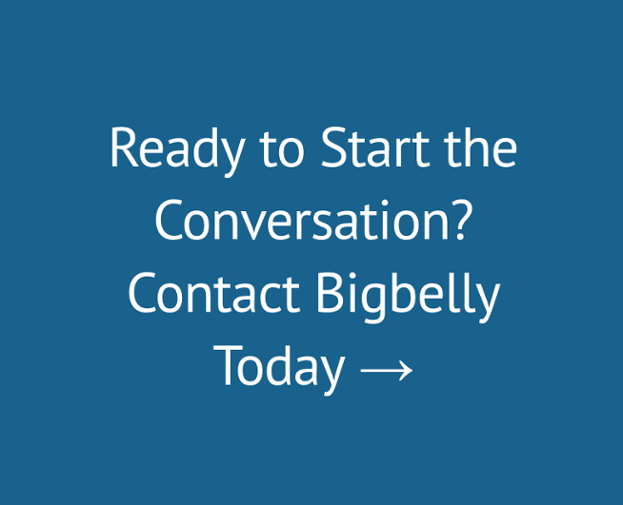 "Bigbelly is proud of the technology we have developed. We have leveraged critical customer installations in regions around the globe to enable us to develop the world's leading smart waste and recycling system," said Brian Phillips, CEO of Bigbelly. "The patents we are asserting represent important technologies in our IP portfolio and are vital to the basic function of a solar powered compactor. They enable Bigbelly to operate with or without direct sunlight and in any location. These lawsuits seek to stop infringement of our patented technologies." NEEDHAM, Mass., Aug. 21, 2017 -- Bigbelly, the world leading Smart City Solutions Provider specializing in smart waste and recycling systems, today announced that the complaint filed in the U.S. Central District Court on July 28, 2017 in California alleging infringement of two Bigbelly patents covering energy management technologies for solar-powered compactors has been formally served to Ecube Labs Co. (U.S.) on August 8, 2017. The same complaint filed against Ecube Labs Co. Ltd. (South Korea), and similar complaints filed in the German Court against EconX Waste Solutions B.V. (Netherlands) and German Ecotec GMBH are in the process of being served. These patented technologies enable Bigbelly's smart waste and recycling system to acutely manage an energy budget based upon the solar energy harvested and the energy needs of the station. It is imperative that solar-powered compactors function in locations with limited or no direct sunlight, since most waste bins are in proximity of buildings, trees and other infrastructure. When deploying a solar-powered, compacting waste solution, Bigbelly's patented energy management is critical to its success. Specifically, with regard to the lawsuit in Germany, Bigbelly (Plaintiff) filed a complaint for patent infringement against EconX and its distributor, German Ecotec GMBH (Defendants), in the District Court of Munich I, Docket No. 21 0 1186/17 for alleged infringement of the German portion of EP 1 638 704 B 1 through the offering and sale of EconTOP waste compactor devices. Bigbelly requests an injunction against the offer and sale of the EconTOP devices in Germany, a recall of infringing products from the German market, the rendering of information and account, and damages for past infringement. Regarding the lawsuit in the U.S., Bigbelly filed a complaint for patent infringement against Ecube Labs Co. (U.S.) and Ecube Labs Co. Ltd. (South Korea) for alleged infringement of U.S. Patents Nos. 7,481,159 and 7,124,680 through the offering and sale of Clean CUBE waste compactor devices. Bigbelly requests an injunction against the offer and sale of the infringing devices in the U.S., and damages for past infringement. "Bigbelly remains committed to defending the technologies in our IP portfolio. We continue to assert our patents to protect Bigbelly's investment in developing the world's leading smart waste and recycling system," said Brian Phillips, CEO of Bigbelly.